Last week’s run at Pura Prajapati Belayu Batannyuh was characterized as Long, Wet, and Slippery. And that sounds like alot of fun! This week is a special Bali Hash House Harriers 2 run for Hari Merdeka and for Hash Master Muddy Man’s Birthday Run. This is an offsite event being at Nusa Penida. We have a great event planned and there will be plenty of food, drink and fun for everyone. 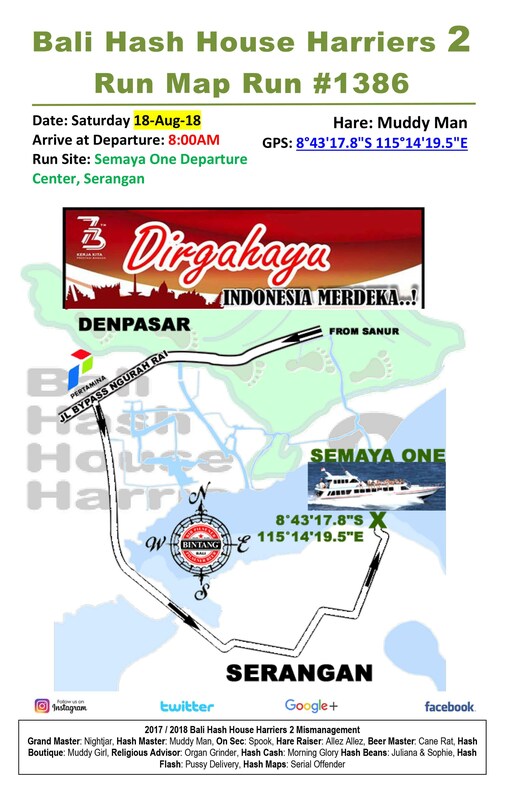 So come join Bali Hash House Harriers 2 at Nusa Penida!